Squid are so versatile. They need cooking either super quick or long and slow if they’re not to turn rubbery but within those strictures lend themselves to a wealth of possibilities. 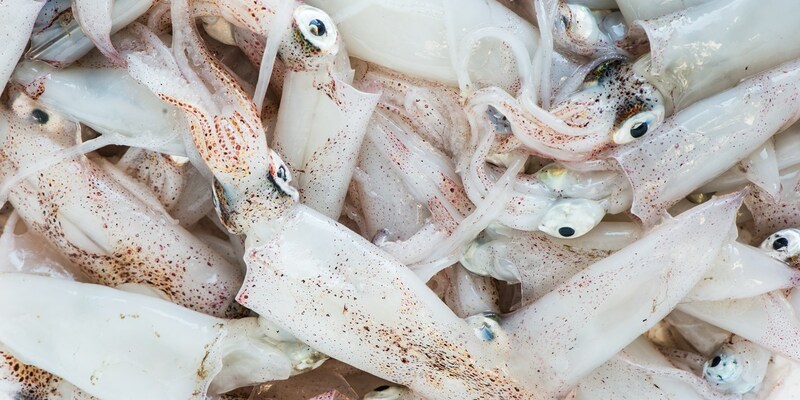 Explore our Great Italian Chefs’ squid recipes to get the most of your cephalopods. Pasta is a natural partner and Viviana Varese’s Spaghettini with squid, clams and lemon is an elegant take on this classic combination. Or the eyecatching black, red and white of Rosanna Marziale’s Squid ink pasta with mussels, mozerella puree and baked cherry tomatoes makes for a dramatic plateful. Kept whole, squid form a natural pocket which lends itself beautifully to stuffing, as in Ernesto Iaccarino’s stuffed squid recipe with provolone and ricotta, and they fry well too. Simple calamari rings are always delicious or try Grazia Soncini’s take on Fritto misto using fish from the Adriatic.